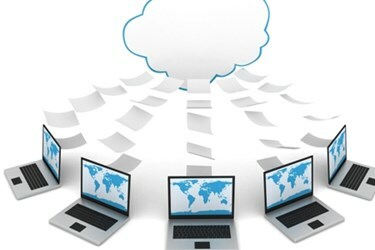 The popularity of cloud-based storage and sharing tools has skyrocketed over the past five years. Businesses and consumers use Google Drive, Box, and Dropbox for sharing files, collaborating on documents, and coordinating projects in real time. These services, however, are not one-size-fits-all. They might not be suitable for businesses in industries that adhere to more restrictive standards like finance and healthcare. Marketers and agencies could find them to be poor fits as well, especially when managing a growing number of brand assets (such as photos, videos, and graphics). When it comes to organizing images, videos, and other media files, marketers eventually realize — sometimes after trial and error — a service like Box can’t meet their needs. Marketers need a digital asset management (DAM) system designed for managing visual content, not a simple tool that simply sends files to and from the cloud. Following are five reasons marketers should avoid Box, Dropbox, and other cloud storage tools for managing brand assets. Cloud Storage Tools Can’t Manage Content Licensing Agreements. In an era when the use of unlicensed images can mean lawsuits or a loss in brand trust, content licensing agreements need to be carefully tracked. Cloud storage tools don’t effectively track content licensing information and expiration dates. A SaaS-based DAM includes digital copyright management capabilities, which allows for assets to be shared with granular insight into copyright details such as expiration dates, terms and conditions, watermarking, and more. Cloud Storage Tools Don’t Provide A Single Source Of Truth. Box’s automatic desktop syncing is handy, but it poses a potential issue: two users are able to sync the same file to different folders within a Box account. When two files that look the same and have the same information exist in an account, how are collaborators supposed to know which one to use? DAM systems are designed to make sure every single file represents a single source of truth, so if two users upload the same file, the duplicate file is recognized and the user is notified. DAM Is Built For Handling (And Finding) Rich Media Assets. Box, Dropbox, and other cloud storage services are fine for business users in need of a simple file sharing or storage solution, but they lack features for visualizing and organizing brand assets. A true DAM system is built to handle rich media assets such as images, videos, music files, and presentations. It won’t just store files and documents that are accessible to remote collaborators; you can actually do things with your content. Box and Dropbox also don’t provide the option for enhanced download features like cropping and re-sizing. DAM Supports Brand Management. Brand management is a term marketers know well, especially if they’ve ever dealt with the frustrations of poorly branded materials. A company’s content has a message to convey, and that message is tied directly to its brand. Box, Dropbox, and other cloud storage tools are built mainly to store files: they don’t have features built specifically for brand management. DAM allows marketers to better control their brand tone, voice, and consistency. Approval processes in DAM are designed to make sure team members maintain guidelines and ensure that only on-brand materials are distributed to the public. Online Storage Tools Lack The Ability To Integrate With Other Storage Systems. Despite Box’s ability to integrate with Microsoft services, there’s no way to connect it with other file storage services, such as Google Drive and Dropbox. That can be a problem if your organization relies on working with remote collaborators who aren’t using Box. DAM systems provide more flexibility for collaborators by connecting with other file storage services. The ability to migrate files from Box, Dropbox, and Google Drive makes it easier for remote workers to collaborate together. When all is said and done, your digital assets are valuable to your company for one main reason: they’re created to help the company meet business goals by generating revenue through marketing, advertising campaigns, and more. The easier it is to manage and organize your creative assets, the easier it is to stay productive. While Box, Dropbox, and other cloud storage services are commonplace, they aren’t designed for brand asset management (and may actually inhibit productivity). By relying on SaaS-driven DAM technology to manage, store, and use creative assets, marketing teams will benefit from the increased productivity and streamlined workflows for asset management. Leslie Weller, director of marketing for Canto, has a deep respect for the way technology connects people with the things they value most. She joined Canto to help marketers, brand managers, product managers, and content managers understand there is a better way to make use of their organizations’ massive amounts of digital content. Weller earned a master’s of business administration degree from California State University, San Marcos and a bachelor’s of science degree in sociology from Brigham Young University.